Are you an athlete that has wanted to learn more about those Graston Tools that hurt so bad? If you answered yes, you would be glad to know that you are reading the right article. 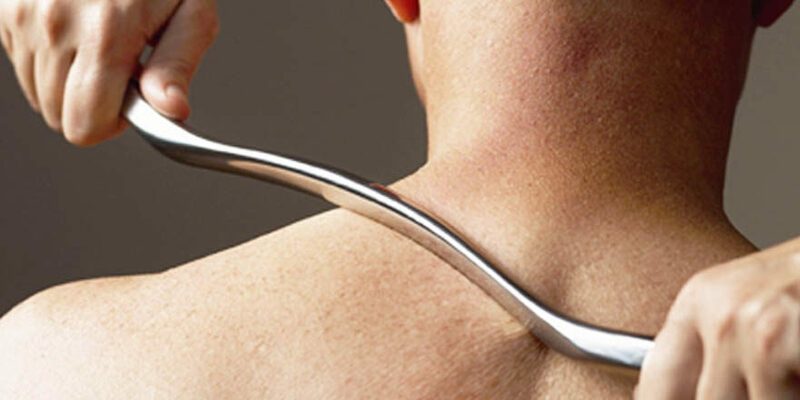 Graston tools can be expensive, but they are one of the most popular forms of soft tissue therapy. This article will be educating you on Graston tools, techniques, and their various applications. 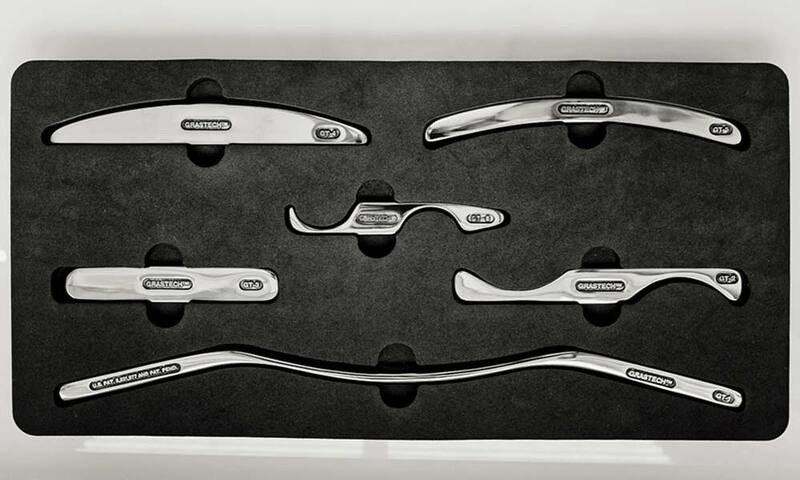 Graston tools are a set of nonsurgical, stainless steel, medical instruments utilized by specialists to manipulate and break up hardened scar tissues located in parts of the body (usually the joints) such as the shoulder, wrist, or ankle. At first glance, Graston tools look a lot like some of the standard handheld medical tools but it is essential for you to know that Graston tools are nonsurgical, this means that the health care providers that use them do so without making any cut or incision. Though sometimes it can hurt so bad that it feels like you have been cut open. Graston tools are used on the body through a method known as the Graston Technique. It involves sliding these Graston tools over certain parts of your body in an off and on manner. Only highly trained specialists can make use of this technique. What Is The Graston Technique All About? 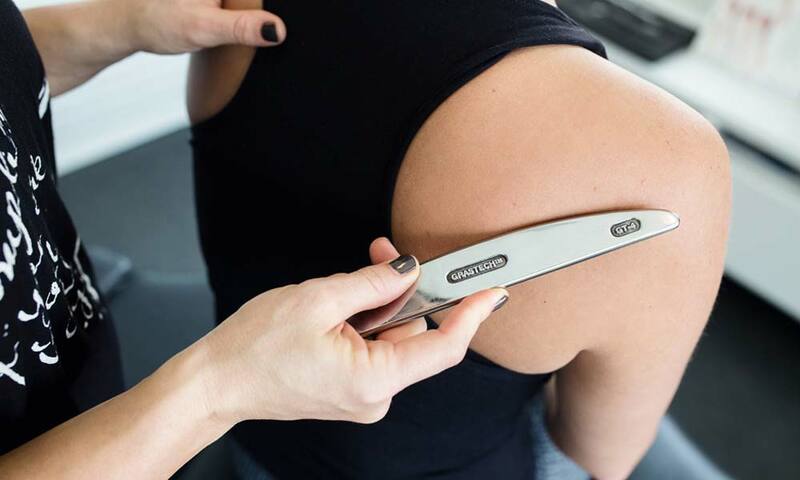 Graston technique, also known as instrument-assisted soft tissue manipulation, is a form of manual therapy that uses instruments that have been designed specially to massage the skin gently. As the instruments are moved over the affected part of your body, they break up the scar tissue, and they restore optimal movements to parts of the body that may have been previously limited. Fun fact: The Graston technique has its origins from an old Chinese Medical Treatment known as the Gua-Sha. Graston Tools – What Are The Goals Of The Graston Technique? It aims to provide a better healing environment for the injured soft tissue in your body. It aims to reduce restriction in your movement that has been caused by the accumulation of scar tissues in certain parts of your body. Break down scar tissue that has been associated with a previous in injury in your body. Who Are The Professionals That Do The Graston Technique? Graston technique in the right hands is quite safe. And if you are an athlete that has been battling with chronic pain and medications for a while, it’s a great idea for you to try this treatment. It can be painful due to the stainless steel Graston tools rubbing against your skin and soft tissue. The best approach is to not try this technique for the first time right before a significant competition. During treatment, the practitioner only applies pressure on a specific part of your body per time. The applied force might be uncomfortable during the period of application, but the discomfort goes away when the pressure has been removed. The duration of treatment per session is usually around 10-30 minutes depending on your condition and the expertise of the practitioner. The Graston technique is highly effective if done right. You may be wondering why there are so many different Graston tools. The reason is that the human body is an odd shape. The tools are made to be able to fit every curve and curves that soft tissue work is needed on. The long handlebar tools are great for getting deep into muscles like the quads and hamstrings. Where some of the smaller tools are more for smaller points and a much more concentrated treatment. Looking for Graston Treatment? Kho Health is the best place to start. Search for the best healthcare providers by skill. Meaning you can find the best local options that offer Graston as a service. You then can compare the options by their Kho Number. What If You Can’t Get Better Without a Treatment with Graston Tools? Sometimes you can ice all you want, but a muscle is in pain because another area is not working or because it is protecting you. With the hips, for example, your back may be hurting because your psoas is doing too much work and it is also tight. The psoas may be doing too much work because your other hip flexors are not activating correctly. The chain reaction could keep going until you get some treatment with Graston Tools. If you have no idea what you need, but you know you need something, Kho Health is an injury guide, and you will get helped through the process. We make it easier for you to find the information and the person you are looking for who is skilled with Graston Tools.